Science and religion have long been thought incompatible. But nowhere has this apparent contradiction been more fully resolved than in the figure of A. S. Eddington (1882–1944), a pioneer in astrophysics, relativity, and the popularization of science, and a devout Quaker. Practical Mystic uses the figure of Eddington to shows how religious and scientific values can interact and overlap without compromising the integrity of either. Eddington was a world-class scientist who not only maintained his religious belief throughout his scientific career but also defended the interrelation of science and religion while drawing inspiration from both for his practices. For instance, at a time when a strict adherence to deductive principles of physics had proved fruitless for understanding the nature of stars, insights from Quaker mysticism led Eddington to argue that an outlook less concerned with certainty and more concerned with further exploration was necessary to overcome the obstacles of incomplete and uncertain knowledge. By examining this intersection between liberal religion and astrophysics, Practical Mystic questions many common assumptions about the relationship between science and spirituality. Matthew Stanley’s analysis of Eddington’s personal convictions also reveals much about the practice, production, and dissemination of scientific knowledge at the beginning of the twentieth century. 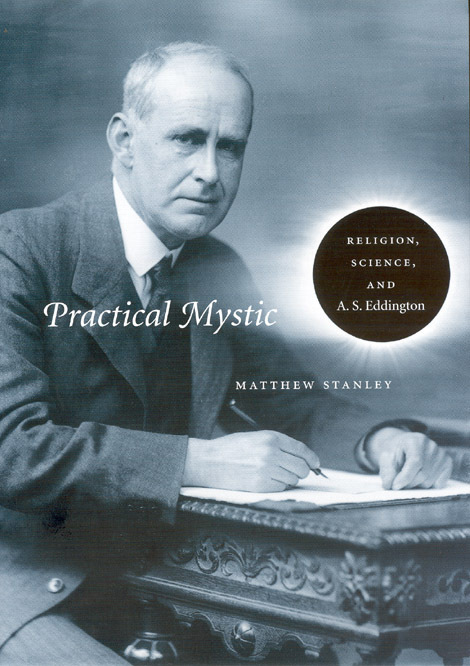 "In this extraordinary book about the life of the distinguished English astrophysicist Sir Arthur Eddington, Matthew Stanley examines the entangled roles of science and religion in his work. . . . Practical Mystic is not a biography but a biographical study—a fascinating one." "In this fascinating study of Eddington and his worldviews, author Stanley offers glimpses of the conflicts between science and the religious spirit more than six decades ago. He also gives the reader insights into Eddington’s astrophysics and the gist of some of his more popular books. This very interesting and well-researched work is enormously relevant in the context of current confrontations. Though very little seems to have changed in the debates, in actuality, there are no scientists of Eddington’s stature today who dare to speak about their religious convictions as openly as Eddington did without risking their professional reputation." "A fascinating study of Eddington’s life and attitudes, and it sheds light on how science and religion can exist in harmony." "Historians of physics and astronomy will welcome Stanley’s survey of British responses to relativity....The central thesis of the book is persuasively argued: the fact that ontological claims drawn from theology no longer informed the content of physical theory emphatically does not mean that religious values ceased to have relevance to a life in science. For Eddington, scientific creativity itself bore witness to that divine spark in the human mind that pointed to the presence of a greater Mind." "Anyone who has ever read a book on the relationship of science and religion will appreciate the novelty and detail in this reading of the scientific and religious life of Sir Arthur Eddington. . . . By all means, read this fascinating, finely-crafted book." "I strongly recomend Stanley’s book; he has explored the connection between Eddington’s religion and science more deeply than any previous writer . . . and his book is essential reading for anyone who wishes to understand the motivations, in both life and science, of its subject. It is also a major contribution to the wider debate about the relationship of science and religion."